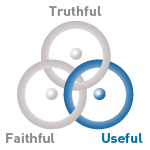 The educational philosophy of MU is derived from the founding principles of Truthful, Useful, and Faithful. The university believes these principles have played a valuable role in helping to educate future leaders to society. 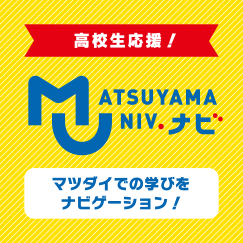 Matsuyama University sets as its goal the implementation of comprehensive technical research and education in all the sciences with a focus on economics, business, the humanities, and law. Matsuyama University sets as its mission the cultivation of highly educated, cultured, and talented individuals as well as extensive contribution to the development of society. Matsuyama University was founded in 1923 as the Matsuyama Higher School of Commerce. The school then developed into its current incarnation as Matsuyama University in 1989 after changing the school’s name to the Matsuyama College of Economics in 1944 and the Matsuyama University of Commerce in 1949. The University’s first president, Akikado Kato, established “Truthful”, “Useful”, and “Faithful” as the school precepts. Thereafter, the third president, Tadao Tanaka, interpreted these precepts as follows. His interpretation was published in the student handbook in 1940, disseminating it throughout the school. These three precepts have been handed down without interruption in Matsuyama University since that time. Be true to the truth. Be of a manner that does not become infatuated with superficial phenomena but goes further to probe the deeper truth, that does not remain content with the withered knowledge of the day but unrelentingly pursues true knowledge. Be true to the task. Be of a practical manner that does not allow the truth to simply remain the truth but which is sure to harness it as part of one’s life in proactive and enterprising in service to society. Be true to people. Be of a manner in which one purposely opens oneself to people, in which one’s honor in one’s relation with others remains unchanged throughout one’s life, and in which one strives to the utmost to take responsibility for one’s speech and behavior. 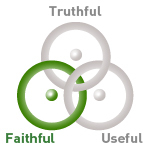 “Truthful” and “Faithful” present the attitude one should have towards learning; “Useful” expresses the ideal of what one should be as a person. 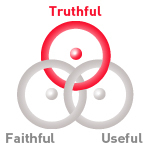 “Truthful” is an attitude of not being satisfied with existing knowledge and continuously learning and mastering things in pursuit of the truth. What is vital is to not be seduced by the deluge of information, instead seeking out the objective facts from amongst that deluge to probe the truth. 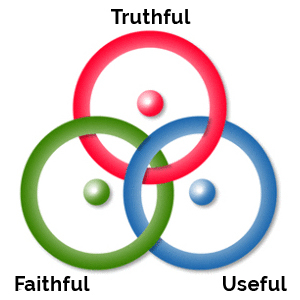 “Faithful” does not simply indicate the bottom-line oriented aspect of “learning the technology and techniques which will immediately be of use.” “Faithful” indicates an attitude of not just studying knowledge as information but rather engaging in learning while constantly bearing in mind pragmatic questions in order to harness the knowledge gained in one’s own life and work. This attitude of proactively harnessing the knowledge learned in University as part of everyday life is also applied in classes at Matsuyama University and is one of the distinguishing characteristics of learning in the school. “Useful” presents the attitude one should assume as a person in interpersonal relations and in society. No one can live their lives alone. In the broader sense of our social lives – meaning friends, family, and the organizations we are involved in – it is key not only to be ethical, but also to proactively get involved with other people, be modest, and respect and share opinions. The spirit of “Useful” is the shared basis of all interpersonal relations at Matsuyama University. The three school precepts should serve as grounding for all Matsuyama University students and teachers, but it is also most definitely a guideline for living one’s life. It is the University’s hope that all students will continue to maintain this attitude throughout their lives, even after graduation, as Matsuyama University alumni. Matsuyama University aims to cultivate 21st century citizens equipped with the extensive education and refinement as well as the cosmopolitan sensibilities demanded of modern citizens and who possess the abilities needed to proactively support and better society in line with the changes of the time. In order to achieve this goal, Matsuyama University confers degrees to persons who have gained education in a relevant field as well as foreign language, culture, and communication abilities at MU, and who have acquired the expertise established by the relevant course.